Including an image archive in corporate and institutional websites sets demands of customization of both functionality and design. PressIT can help in large and smaller projects of incorporating and customizing installations to fit your specific requirements and wishes! Making small adjustments to design and including corporate logos and color profiles makes it possible to integrate your public image archives seamlessly in your corporate web pages. Adjusting settings and layout options to suit your company and your visitors’ needs, further enhances usability and consistency. In archives open to the public it is also important to be able to control what information (metadata) is released on the images shown as well as customizing download rights and image sizes open for download. 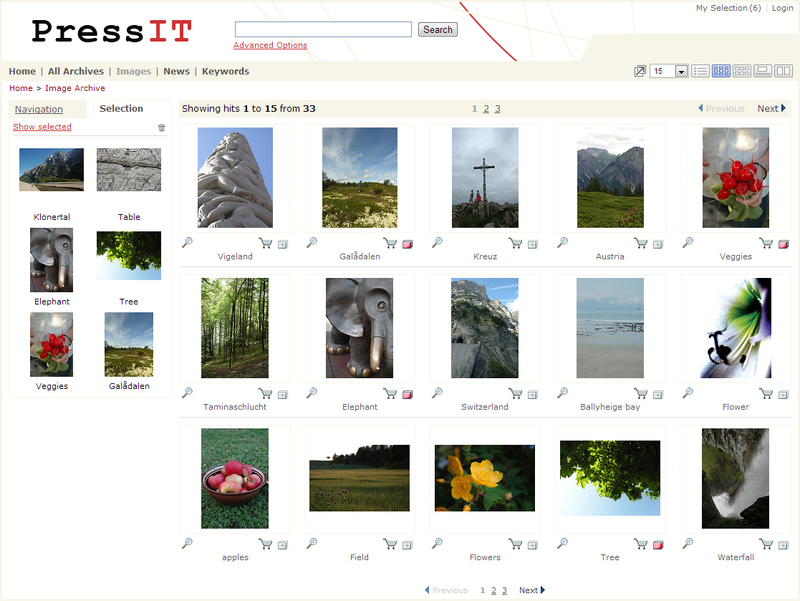 It is also possible to customize the start page, create a menu with search words for navigation and much more. 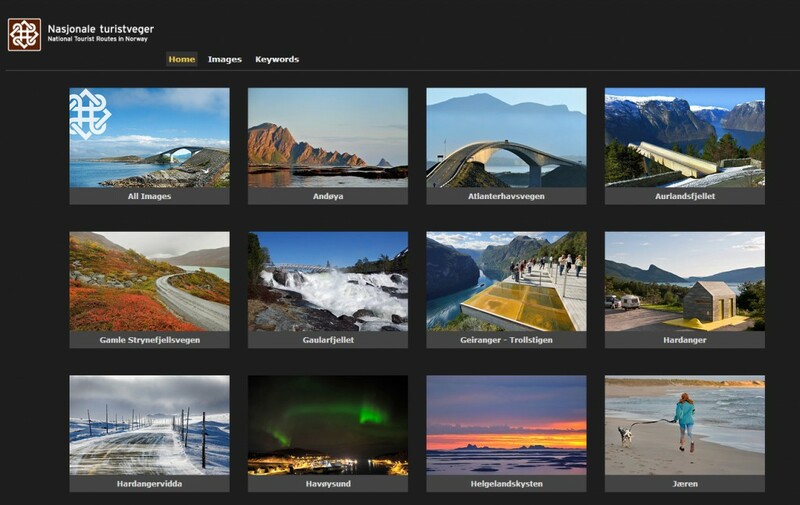 For the National Tourist Routes in Norway we customized an archive , where visitors can easily browse and download images. Read more about this project and our other showcases or visit National Tourist Routes in Norway’s archive. Often the needed functionality is already available, but needs to be customized in order to match specific needs. PressIT has long experience with tailoring image archives, we understand that usability and workflow is key to efficiency. Image archives can also act as a useful tool when developing special web displays. For the Norwegian forest and landscape institute, we developed a Flash based display in a project named “Tilbakeblikk”, where an image archive acts in the background. Read more about this project. Contact us for more information about how your archive can be customized to suit your needs. If you have an idea you would like to incorporate in your special archive, ask us!